Mae West playing the role of Lady Lou is a night club owner in New York. One can imagine a lady of that stature to have many friends. She had more male friends than one can imagine. The movie involves various scenes inside the night club and how few males try their luck to impress 'Lady Lou'. Although, Captain Cummings is in no mood to embrace her, she does find him liking. One of the lines by Lady Lou - "Why don't you come up and see me sometime?" is one of the best lines considered by many film critics and also been voted in Top 100 lines in many movie sites. This movie was more focussed on Mae West, who proved as to why she was one of the best in the business of 'comical sexuality'. 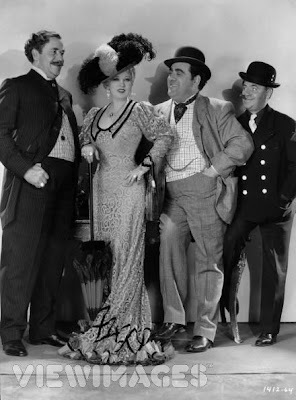 After this movie, The Nation legion of Decency was formed in 1933 stating the movie and Mae West be one of the prime reasons for their formation. The movie showcases the pride of the character 'Lady Lou' who endowed with jewels, hip swishing, proclaims to public 'I am the finest woman who walked the streets'. Captain Cummings played by Cary Grant warns her about the consequences because of her attitude and it is him, who helps her in the end of the movie. This movie is based on a play of Mae West titled 'Diamond Lil' in late 1920's. 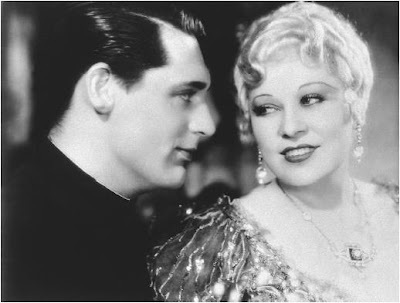 Cary Grant in his early years of acting plays a second fiddle to the more renowned Mae West. He was hired by Paramount Productions and this movie saved Paramount Pictures from bankruptcy and they owe it to Mae West and her popularity at that time. 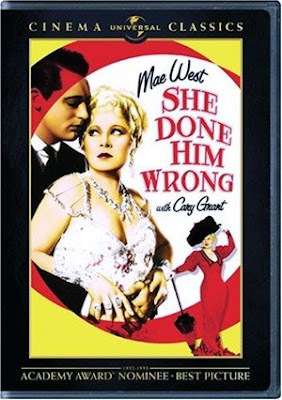 Released in 1933, She Done Him Wrong was directed by Lowell Sherman and was the shortest movie in terms of duration (66 minutes) to receive a Best Picture Oscar and also the only movie to be nominated in Best Picture category without having nominations in other category.